To understand what’s going wrong in illnesses like autism and schizophrenia, we need to know more about how neural circuits are connected in the healthy brain. 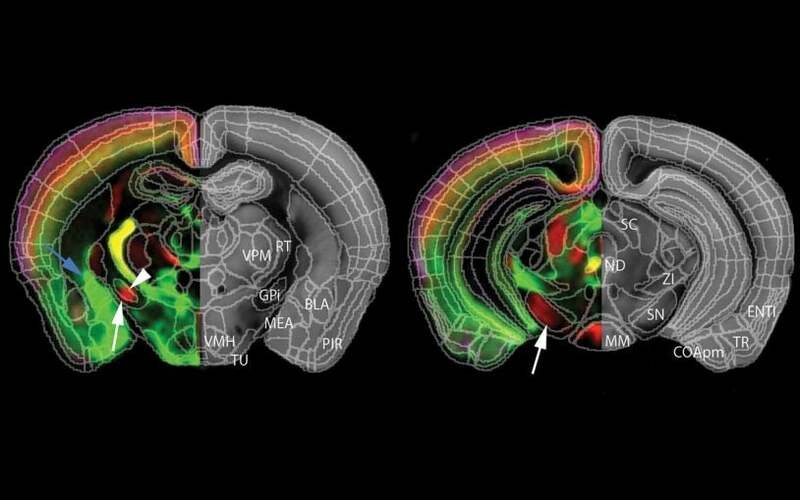 We’ve developed advanced imaging methods to draw the first whole-brain activation map in the mouse. Now we’re applying that technology to study changes in brain activity in mice whose behavior models human autism and schizophrenia. 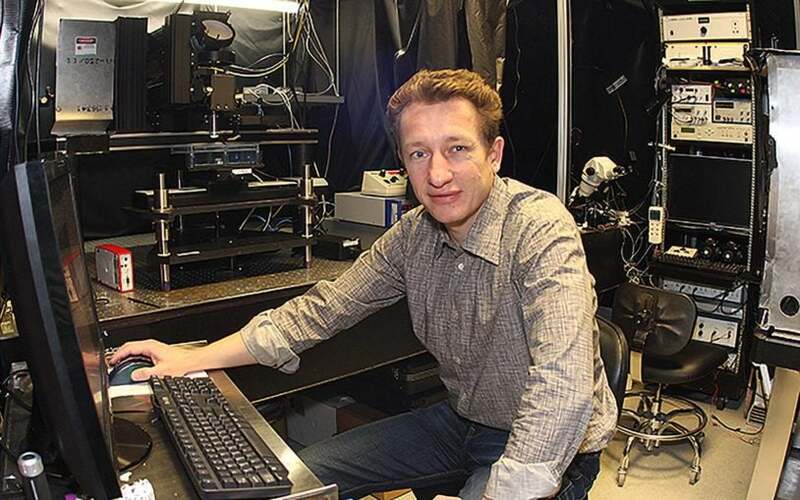 Pavel Osten’s lab works on identification and analysis of brain regions, neural circuits, and connectivity pathways that are disrupted in genetic mouse models of autism and schizophrenia. 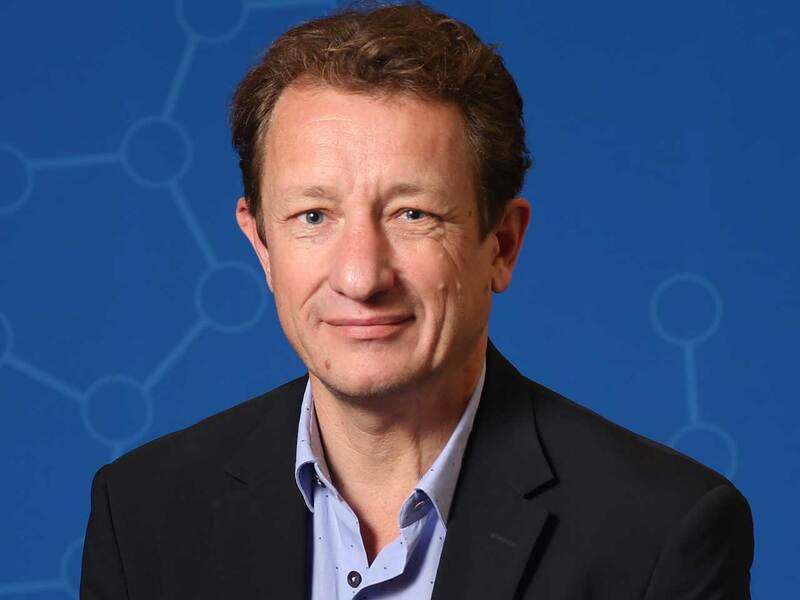 Osten hypothesizes that (1) systematic comparison of multiple genetic mouse models will allow determination of overlaps in pathology—neural circuit endophenotypes—responsible for the manifestation of neuropsychiatric disorders and (2) neural circuit-based classification of autism and schizophrenia will provide key circuit targets for detailed mechanistic studies and therapeutic development. 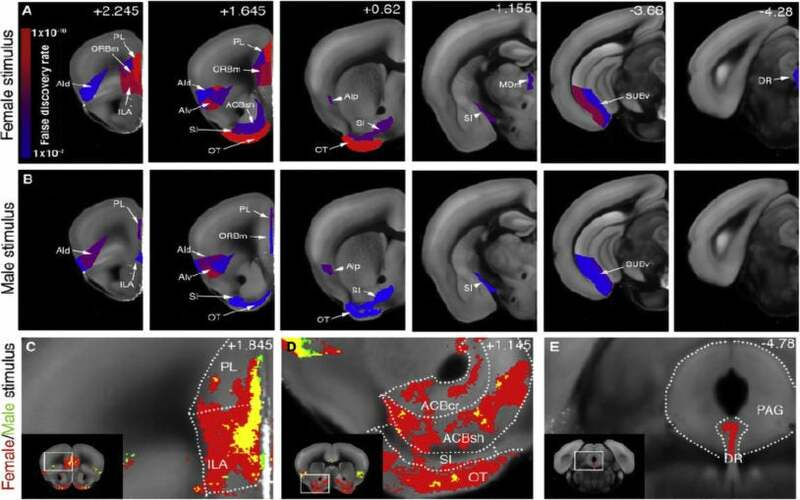 Osten and colleagues have developed the first systematic approach to the study of neural circuits in mouse models of psychiatric diseases, based on a pipeline of anatomical and functional methods for analysis of mouse brain circuits. 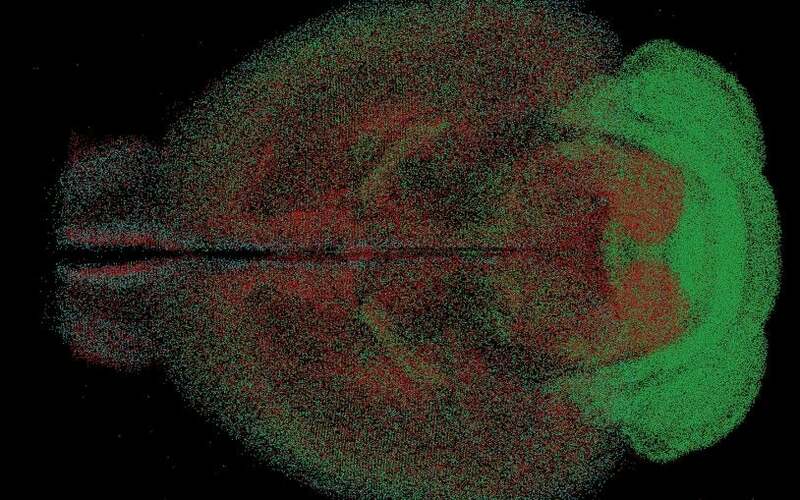 An important part of this pipeline is high-throughput microscopy for whole-mouse brain imaging, called serial two-photon (STP) tomography. 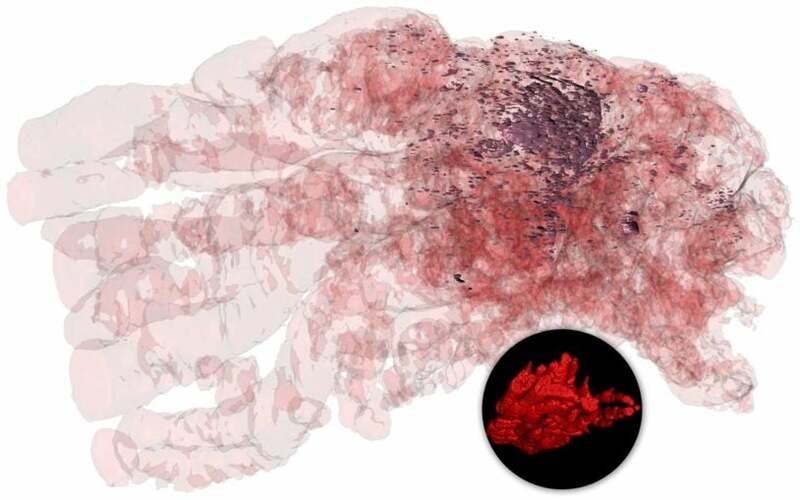 This year, they used this method to describe the first whole-brain activation map representing social behavior in normal mice. 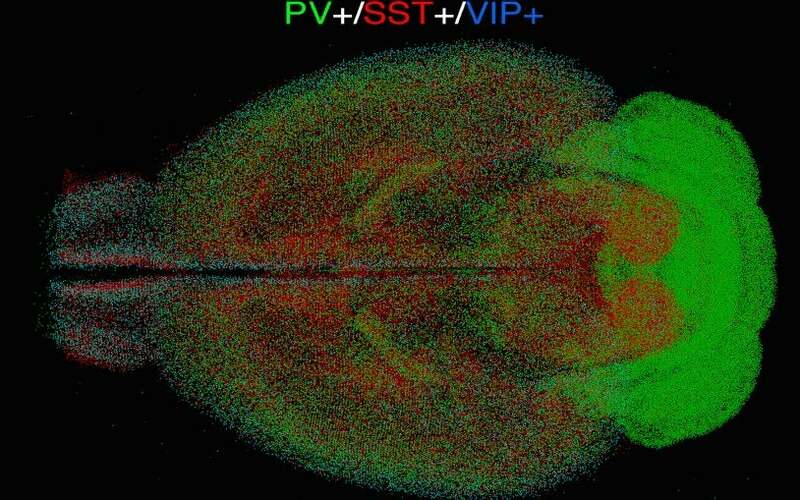 They are currently focusing on using this approach to study brain activation changes in two mouse models of autism: the 16p11.2 df/+ mouse model, which shows an increased propensity to seizures and hyperactivity, and the CNTNAP2 knockout mouse model, which shows abnormal social behavior. Kim, Yongsoo and Yang, Guangyu Robert and Pradhan, Kith and Venkataraju, Kannan Umadevi and Bota, Mihail and García del Molino, Luis Carlos and Fitzgerald, Greg and Ram, Keerthi and He, Miao and Levine, Jesse Maurica and Mitra, Partha and Huang, Z. Josh and Wang, Xiao-Jing and Osten, Pavel (2017) Brain-wide Maps Reveal Stereotyped Cell-Type-Based Cortical Architecture and Subcortical Sexual Dimorphism. Cell, 171(2) pp. 456-469.e22. Renier, Nicolas and Adams, Eliza L and Kirst, Christoph and Wu, Zhuhao and Azevedo, Ricardo and Kohl, Johannes and Autry, Anita E and Kadiri, Lolahon and Umadevi Venkataraju, Kannan and Zhou, Yu and Wang, Victoria X and Tang, Cheuk Y and Olsen, Olav and Dulac, Catherine and Osten, Pavel and Tessier-Lavigne, Marc (2016) Mapping of Brain Activity by Automated Volume Analysis of Immediate Early Genes. Cell, 165(7) pp. 1789-1802. Kim, Yongsoo and Venkataraju, Kannan Umadevi and Pradhan, Kith and Mende, Carolin and Taranda, Julian and Turaga, Srinivas C and Arganda-Carreras, Ignacio and Ng, Lydia and Hawrylycz, Michael J and Rockland, Kathleen S and Seung, H. Sebastian and Osten, Pavel (2015) Mapping Social Behavior-Induced Brain Activation at Cellular Resolution in the Mouse. Cell Reports, 10(2) pp. 292-305. 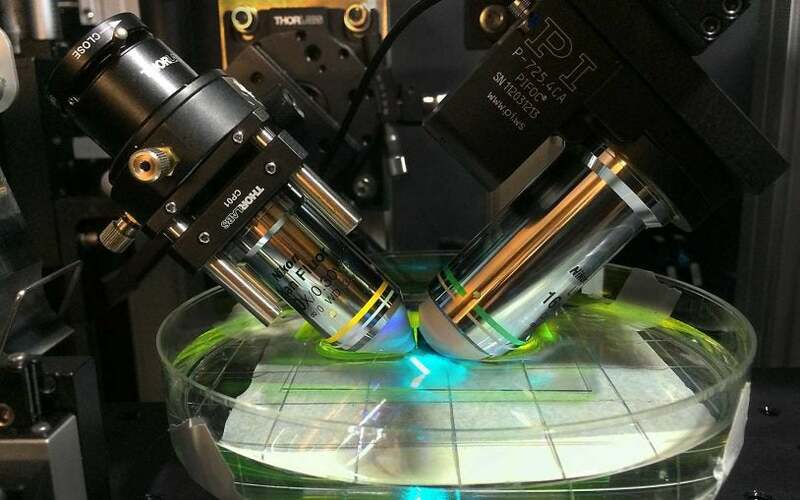 Osten, P. and Margrie, T. W. (2013) Mapping brain circuitry with a light microscope. Nat Methods, 10(6) pp. 515-23. Ragan, T. and Kadiri, L. R. and Venkataraju, K. U. and Bahlmann, K. and Sutin, J. and Taranda, J. and Arganda-Carreras, I. and Kim, Y. and Seung, H. S. and Osten, P. (2012) Serial two-photon tomography for automated ex vivo mouse brain imaging. Nature Methods, 9(3) pp. 255-258.